Happy 2018! And what better way to start off a fresh new year than with a sensational heavenly display? January 1st, 2018 gave us a truly stunning supermoon. NASA called it one of the biggest and brightest we’ll see this whole year. Supermoons happen when the moon is full on the same day that its elliptical orbit comes closest to Earth. This means some breathtaking visuals for those lucky enough to see it. Naturally, the internet wasn’t about to let such an event go by undocumented (particularly on the first day of the new year). 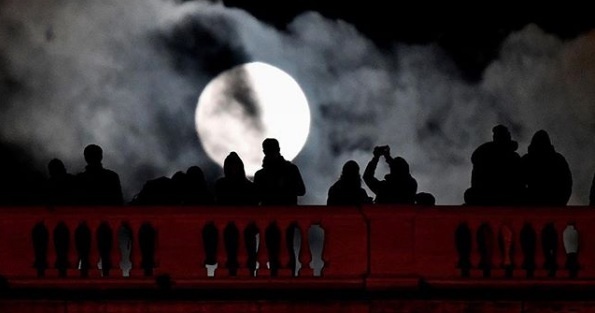 Social media was swarmed with pictures of the supermoon from all across the globe. We’ve rounded up the best and most breathtaking images of the supermoon here. We’re counting this as a sign of good things to come in 2018. If you missed out on the supermoon, don’t feel too down. There’s another full moon due at the end of the month, called a blue moon. But be sure to keep an eye out for it — we’re not getting any full moons in February. It looks like 2018 is definitely a year to keep your eyes on the sky!